This is the perfect time of year for pickles because cucumbers are at every market and store and are CHEAP, so get a bunch and make pickles for days! They’ll keep in the fridge for at least a month, maybe more, and if you can them or process the jars in some way they’ll last indefinitely in the pantry. 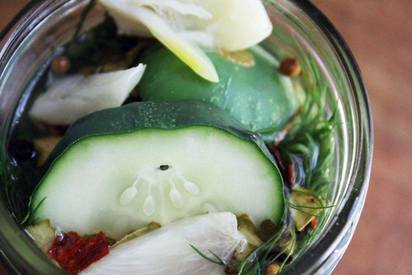 You could also pickle okra, green beans, squash, or any summer veggie that you love.